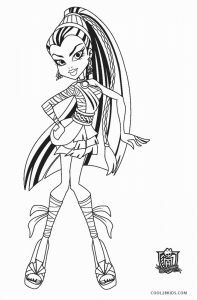 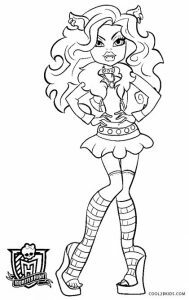 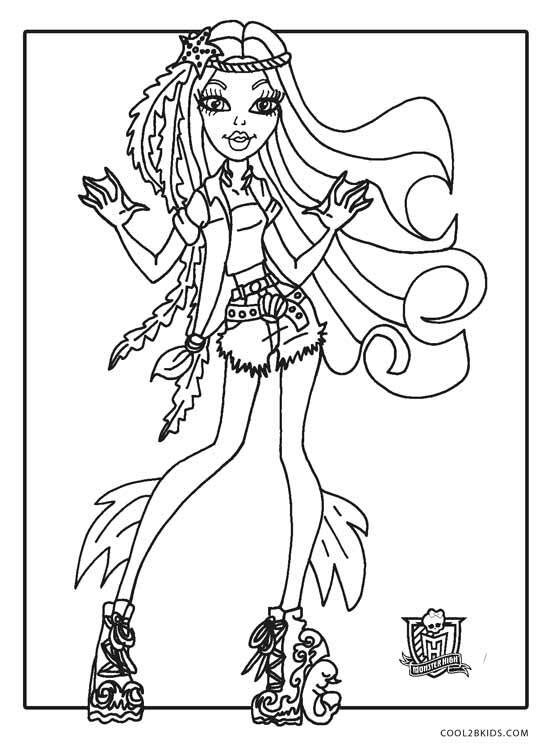 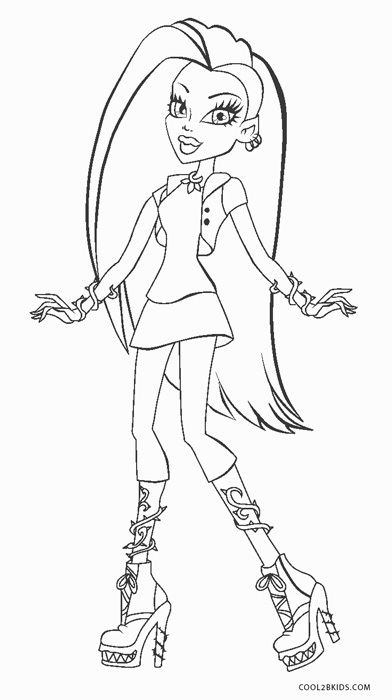 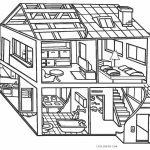 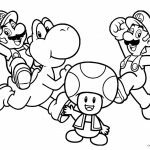 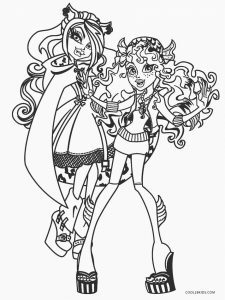 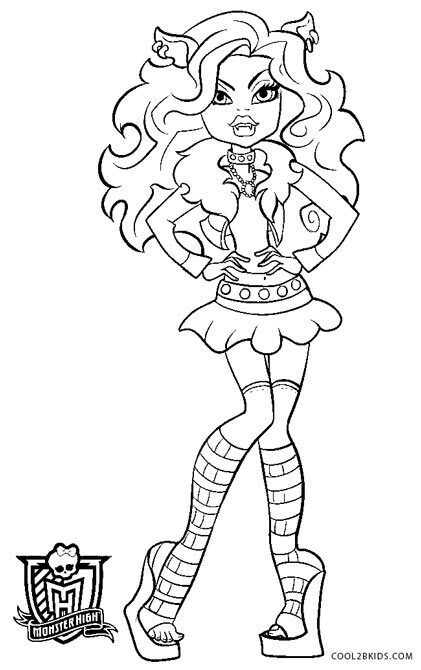 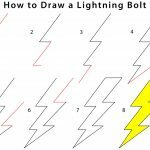 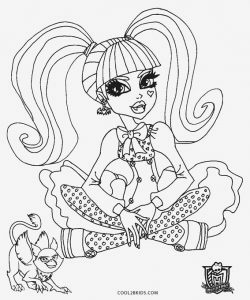 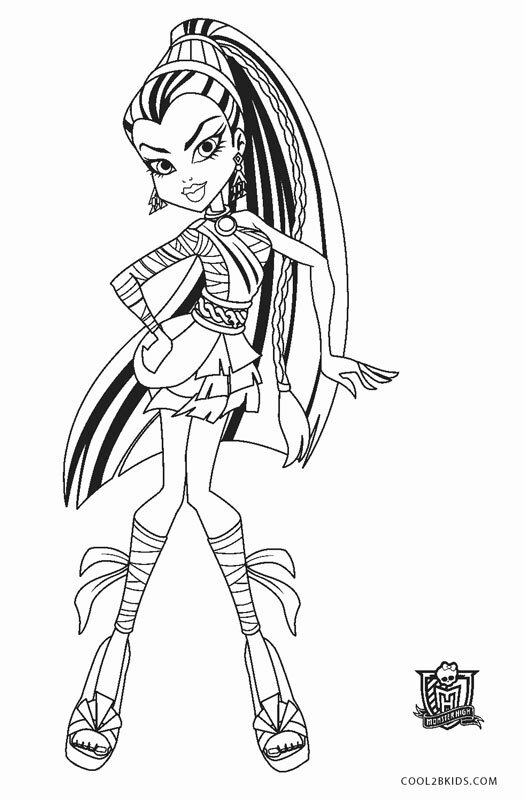 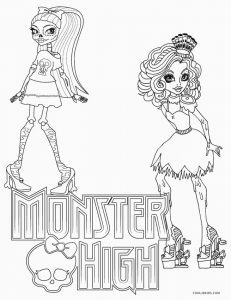 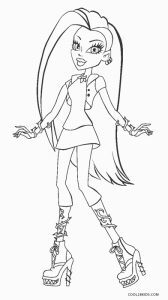 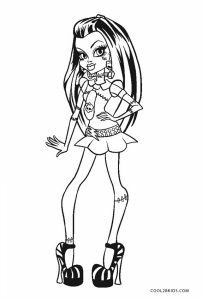 Relive the thrill of the Monster High games, web series and TV shows by putting color to this free and unique set of coloring pages. 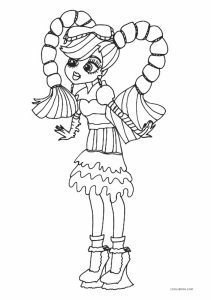 They showcase the cute dolls of the popular franchise in lovely dresses and accessories. 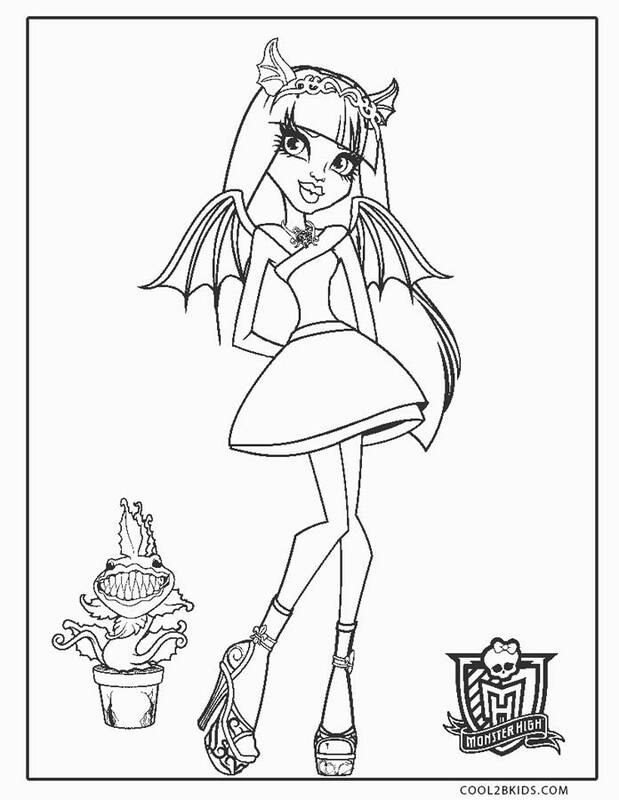 Brighten up the sheets by choosing the boldest of colors from your palette. 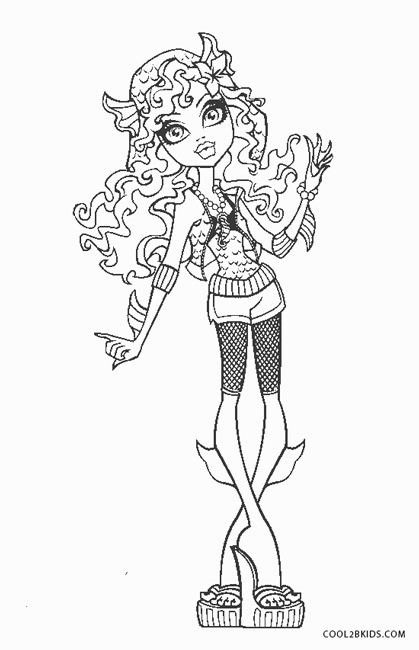 Color their mouths carefully so as to highlight their sharp teeth. 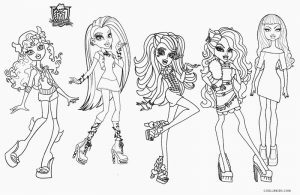 The hairstyle of each doll being unique, you have the opportunity to play with vibrant shades. 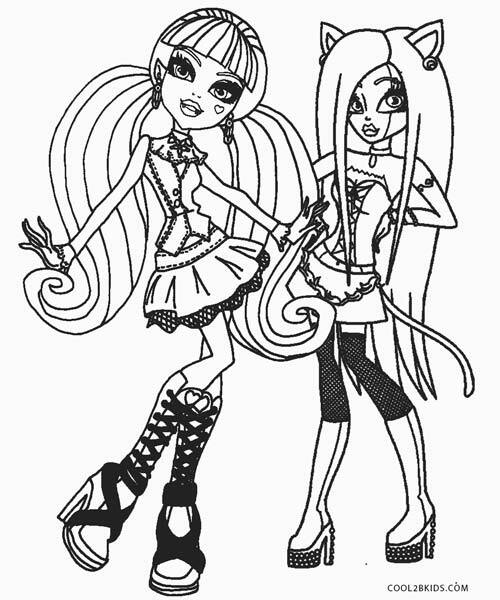 The shoes of the Ghouls should match their outfits and persona. 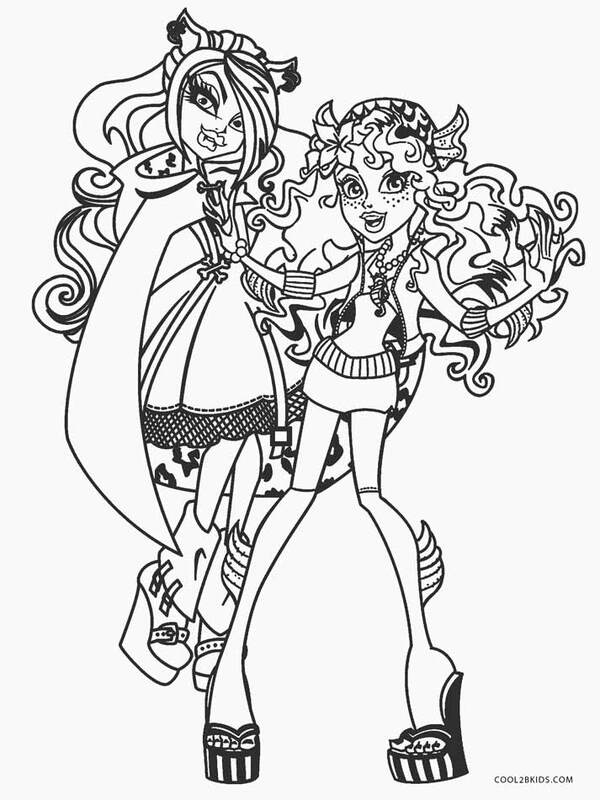 Girls would appreciate the high fashion quotient of the dolls. 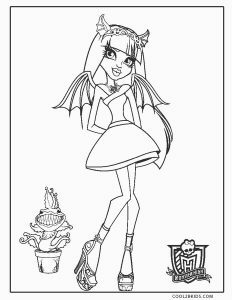 Some of the printable pages display a couple of dolls while some others have single sketches of the young beauties. 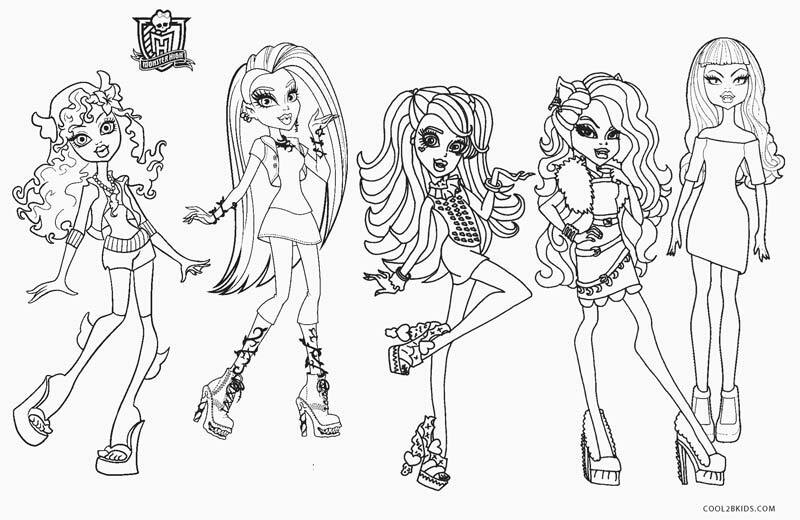 But the page containing five Ghouls together make for a captivating show. 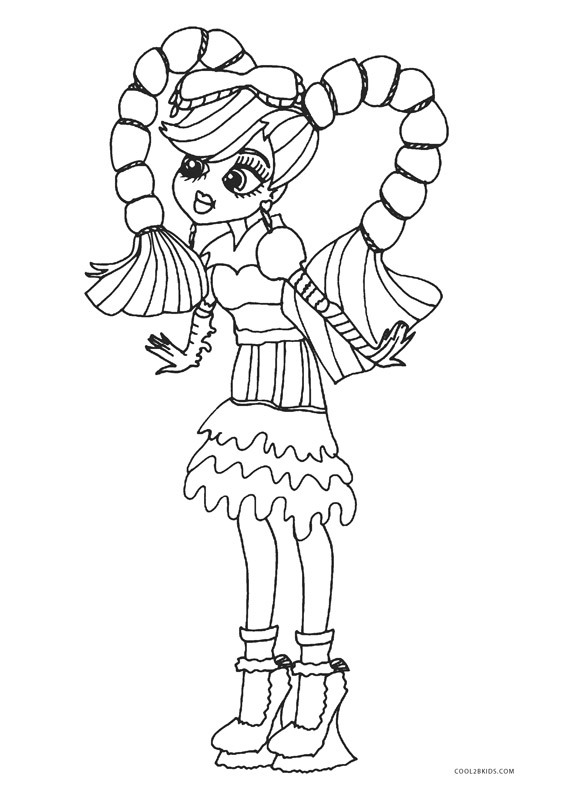 As the sketches have intricate detailing it would be a challenge for the kids to keep the colors within the boundaries. 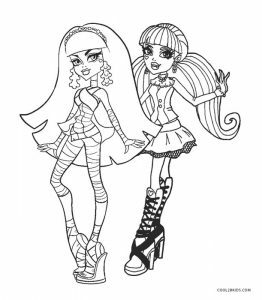 They also need to be careful about the proper contrast of the shades they choose.